MANILA, Philippines – Reteaming with director Cathy Garcia-Molina, Kathryn Bernardo and Daniel Padilla’s latest film, “The Hows of Us” attempts to examine a toxic relationship that should’ve long ended, if not at least talked about by those involved in it. The story, which is written by Carmi G. Raymundo, follows George (Bernardo) and Primo (Padilla) are a long-term couple who once thought that life together will be a walk in the park just as long as they stick with each other. But when the harsh realities get in the way of their dreams, they struggle together (and separately) to handle the pressure of upholding their promise to each other. 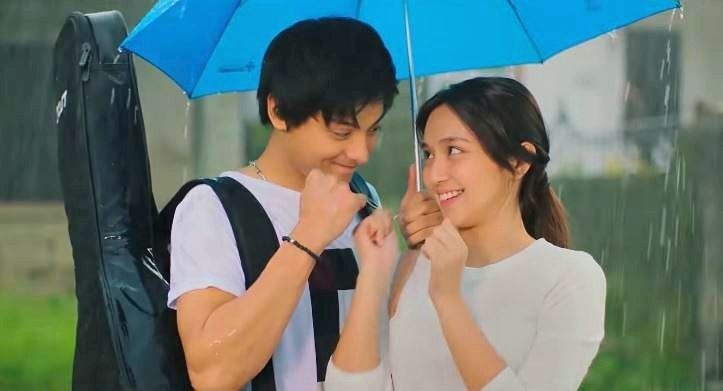 Equipped with years of experience working with each other both on the small and big screen, not to mention the two’s electric chemistry, Bernardo and Padilla continues their transition from teeny bopping stars to fully-grown actors in “The Hows of Us.” The film pushes the pair’s acting capabilities to new heights with more mature themes and they delivered the best that they can performance-wise given the material that they’re provided with. It also ticked all the boxes when it comes to the no-fail Filipino romantic film with the movie chock full of gush-worthy scenes between the leads. Sadly, even with all that, the film falls flat. The problem with “The Hows of Us” all boils down to its story. While it’s commendable that the film tried to reinvent things by adapting a non-linear form of storytelling (George’s monologue would have also been a nice touch), it didn’t really do anything to improve the audience’s experience in watching the movie, especially since the essentials weren’t there. It’s difficult to stylize what’s supposed to be a straightforward narrative when it barely has all the elements and structure that makes a good story. Opening with a time-warp with odd digital effects featuring both slow-motion and stop-motion. Sadly, the visuals don’t really match what was supposed to be a grounded, eye-opening story of the couple’s struggles which could’ve easily been relatable for a lot of people. What’s worse is that, after initial slew of VFX-infused sequences, they were never used again - it’s as if the first 20 minutes of the film is from an entirely different movie. Following all the build-up that inevitably led to the two coming back together, there was no character development whatsoever between the two that it’s hard to be emotionally invested in their story. George takes back Primo despite the lack of any significant progress on his character except for actually realizing that he was once egotistical. Yes, he did show signs of maturity having learned that life doesn’t always the way he wants it but he didn’t really prove that he’s worth a second chance considering what George lost putting himself first for years. In the end, it didn’t matter whether the couple got back together immediately after they broke up or a decade later because “The Hows of Us” focused more on romanticizing the idea of “being in love” than actually “ being in a healthy relationship” which at one point, felt like what it was going for. This justifies the fact that Primo can just barge in back into George’s life, declaring that she wants her back, without suffering any consequences of her selfish actions that jeopardized his ex-girlfriend's life. “The Hows of Us” definitely provides entertainment for KathNiel fans. The film didn’t skimp on fan-service with most of its over two-hour runtime devoted solely on their characters, there’s not one subplot. Unfortunately, if you’re looking for a universally appealing film, it may be better to skip this one altogether. NOTE: The views and opinions expressed in this article are those of the authors and do not necessarily reflect the views of the company and its management.